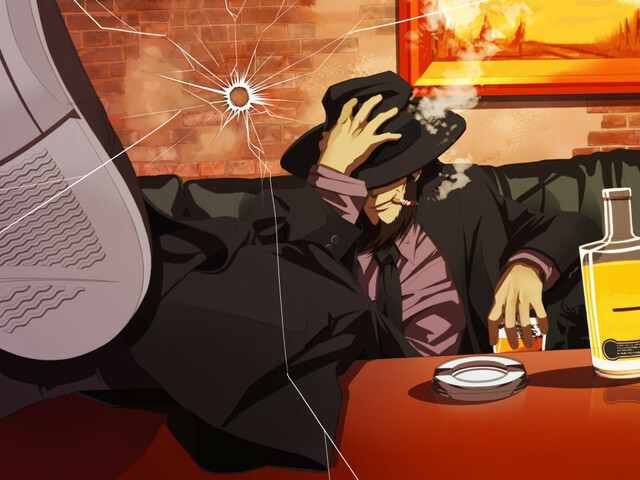 Crunchyroll - Poll: The Most Unknown Facts and Trivia About "Lupin The Third"
Poll: The Most Unknown Facts and Trivia About "Lupin The Third"
The popularity of Lupin the Third grew in Japan first after the second season of TV anime aired in 1977, but the original manga started in 1967 and there are lots of known and unknown facts about the legendary series. Goo Ranking polled to see which Lupin trivia is most unknown among the fans. Zenigata is 3 years older than Lupin. This Senpai definitely noticed this Kohai. 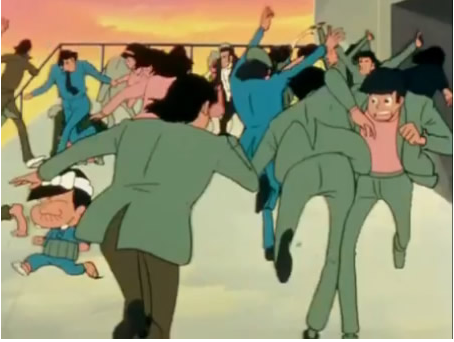 The scene from original manga, Lupin is saying "The children of a thief and a detective got together at a same university". #2. 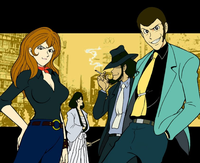 Lupin and Fujiko had a son named "Lupin Kozou (translation: Lupin Boy)"
This was a plot that was brought to the orignal author, Monkey Punch, to run in Shonen Action, the manga magazine for boys in 1974 and not Monkey Punch's original idea. 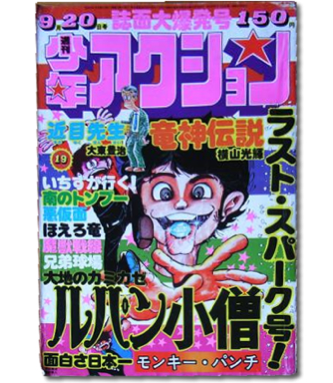 The spin-off manga "Lupin Kozou" ran in Shonen Action for 18 chapters. #3. 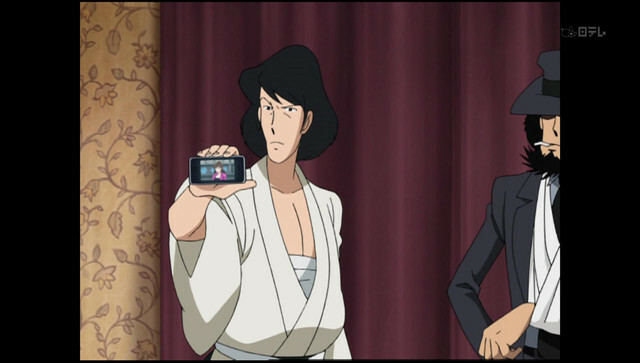 Goemon was using a smartphone in "Lupin The Third The Last Job"
Through my research, I found out that Zenigata's salary changes from about $2000USD to $10,000USD per month depending on the series. Japanese comedy classic, Tensai Bakabon's dad made a cameo appearance in one of the episodes of the TV series. Monkey Punch drew Lupin wiith long hair at first but changed it to short hair to save work on drawing. According to Lupin the Punch website, the change also signifies the fact Lupin does not stay within cultural norms since every man had long hair at the time because of the Beatles. Jigen insisted on purple underwear in few episodes. This must be before the crossover TV special in 2009, but I was not able to find a back up fact. This is the best I could find of any visual evidence. 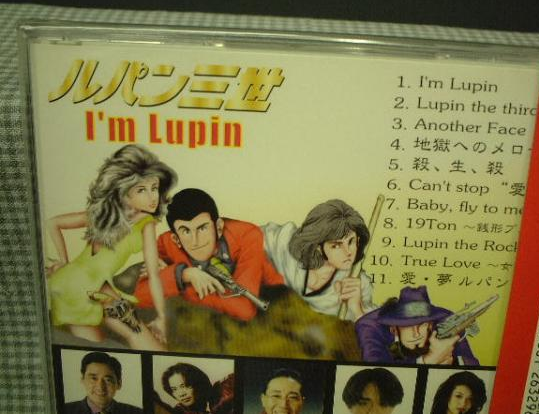 A soundtrack from the musical titled "I'm Lupin". Photos of the actors at the bottom. The actual anime did not run in France due to copyright complication, but I was able to find a YouTube. It is fan-dubbed in English. Hope you enjoyed the trivia!